If you enjoyed Alice's Adventures in Wonderland you might like Mikhail Bulgakov's The Master and Margarita, also available in Penguin Classics. "A work of glorious intelligence and literary devices...Nonsense becomes a form of higher sense"
"Alice in Wonderland is one of the top 25 books of all time. I always loved the book and I always loved the various characters, the psychedelic nature of it and kind-of odd allegorical stories inside stories. I always thought it was beautiful." "Wonderland and the world through the Looking Glass were, I always knew, different from other imagined worlds. Nothing could be changed, although things in the story were always changing...Carroll moves his readers as he moves chess pieces and playing cards." "It would not have occurred to me even to suspect that the "children's tale" was in brilliant ways coded to be read by adults and was in fact an English classic, a universally acclaimed intellectual tour de force and what might be described as a psychological/anthropological dissection of Victorian England. It seems not to have occurred to me that the child-Alice of drawing rooms, servants, tea and crumpets and chess, was of a distinctly different background than my own. I must have been the ideal reader: credulous, unjudging, eager, thrilled. I knew only that I believed in Alice, absolutely." 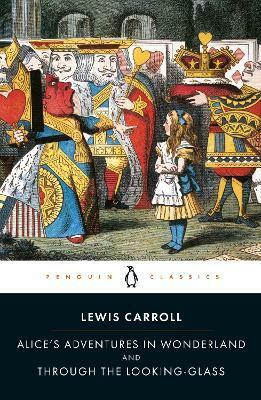 "The Alices are the greatest nonsense ever written, and far greater, in my view, than most sense." -Malcolm Bradbury "Alice in Wonderland is one of the top 25 books of all time. I always loved the book and I always loved the various characters, the psychedelic nature of it and kind-of odd allegorical stories inside stories. I always thought it was beautiful."